You are receiving this email because of your participation in a DC Primary Care Association (DCPCA) Training/ Technical Assistance Program. 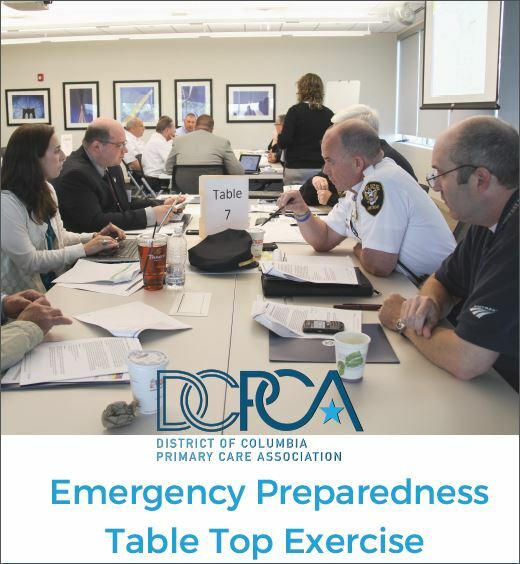 I f you have any questions regarding the upcoming Emergency Preparedness Table Top Exercise, please contact Michelle Ezeofor, Emergency Preparedness Program Manager at mezeofor@dcpca.org . Anyone interested in participating in the Introduction to the BridgeIT Designer Training should contact Mike Smoot, EHR Data Manager at msmoot@dcpca.org. Training Overview: During this session we will answer follow up questions from the Day 1 training, review the take home BridgeIT Exam, create a 2 nd custom report as a group and have a final question and answer period to wrap up. 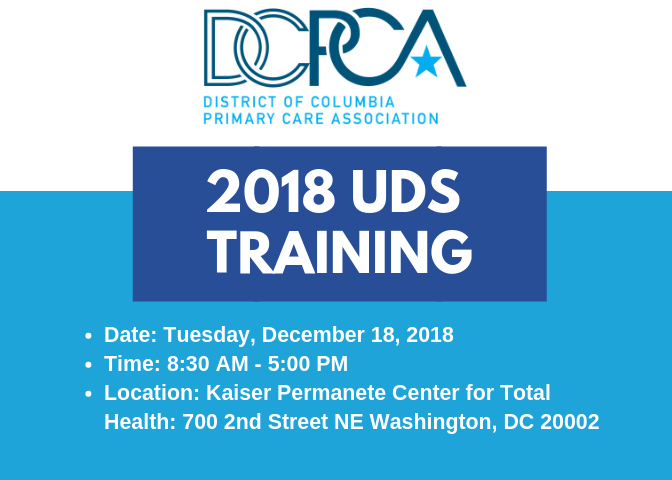 As a part of DC Primary Care Association's Training and Technical Assistance Program, we are excited to partner again with the Health Resources and Services Administration for the 2018 UDS Training. Training Overview: The Uniform Data System (UDS) in-person training is a full day program covering the preparation of the 2018 UDS Report. The training addresses each of the report's tables, including a discussion of the changes that have been made and the definitions necessary to complete the Report. The UDS training is aimed at those who are responsible for gathering and reporting the data elements included in the UDS Report, as well as management and clinical staff who need to understand the definitions and concepts used, and those who use the data in their program management and quality improvement activities. 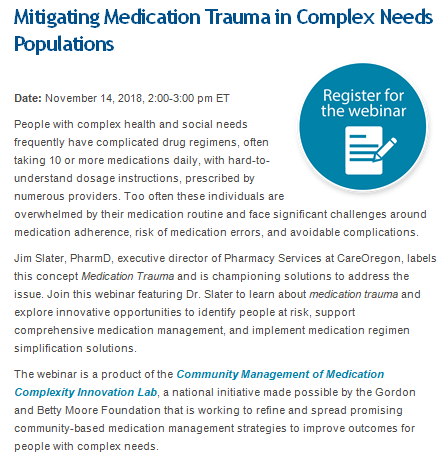 DCPCA Members : There is not a cost to register for this training!!! Use offer code "DCPCA2018" at checkout to register at no cost. ﻿Emily Long, Training and Program Manager at elong@dcpca.org . If you or someone in your organization is interested in attending any of these free sessions, please complete the registration form using the link below. Individuals that register for training by 11/26/2018 will be sent separate calendar invites with the meeting login information for each session that they register for. Make the most of your BridgeIT Reporting with DCPCA's one-on-one interactive BridgeIT technical assistance sessions. This is an ongoing DCPCA technical assistance opportunity. To schedule your "BridgeIT Designer/Viewer" technical assistance session, contact Mike Smoot, EHR Data Manager at msmoot@dcpca.org . Webcast information coming soon. 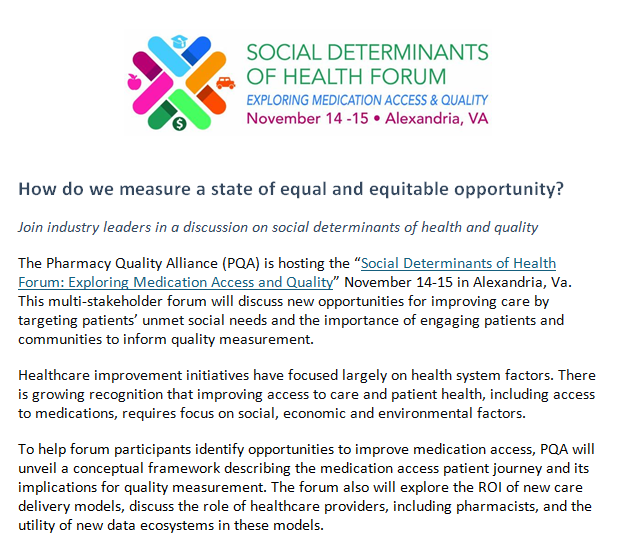 To submit questions in advance, send an email to bphcta@hrsa.gov by Wednesday, November 21, with the subject line "BPHC All-Programs Question."